The Redbacks rocked up to Adelaide full of optimism after NSW championship win over Newcastle, and a squad of 13 strong. 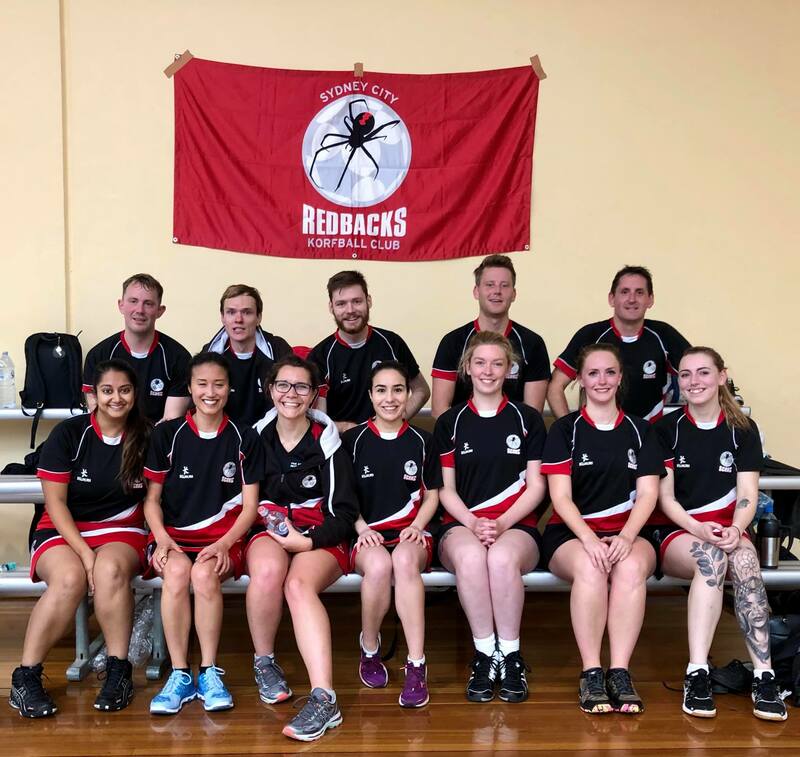 Redbacks debuts for Paula and Valerie as well as a first taste of nationals for Tomas, Sam, Adam and Tania gave the Redbacks a fresh look. With only the top 2 from the round robin of 7 teams making it to the final, every game was crucial, and Sydney had Arista first up. Sydney Redbacks vs Newcastle Royals – Game 1 – 2018! Blow out at the Sausage Sizzle! On Sunday the Redbacks donned their favourite BBQ attire and utensils and took to the hot grill of Bunnings Mascot to serve hot snags and cold drinks to the hungry and thirsty public! Your new SCRKC committee 2018! It’s official, the new Sydney City Redbacks Korfball Committee for 2018 has been elected over Cuban food and beer at Cubo Cubano. In a year that saw the Redbacks take on the Australian Korfball Nationals in Victor Harbour (SA); regular trips up and down the M1 to participate in the NSW Korfball League; 2 Bunnings Sausage Sizzle fundraisers; various social gatherings; and welcomed an array of international Korfball superstars to the Australian Korf scene we gathered on Oct 14 at the ‘Different Drummer’ in Glebe to reminisce on this year past, to thank our coaches and committee and most importantly reveal the big winners of the annual Redback awards! Sydney Redbacks vs Newcastle Royals – Game 7 – 2017! 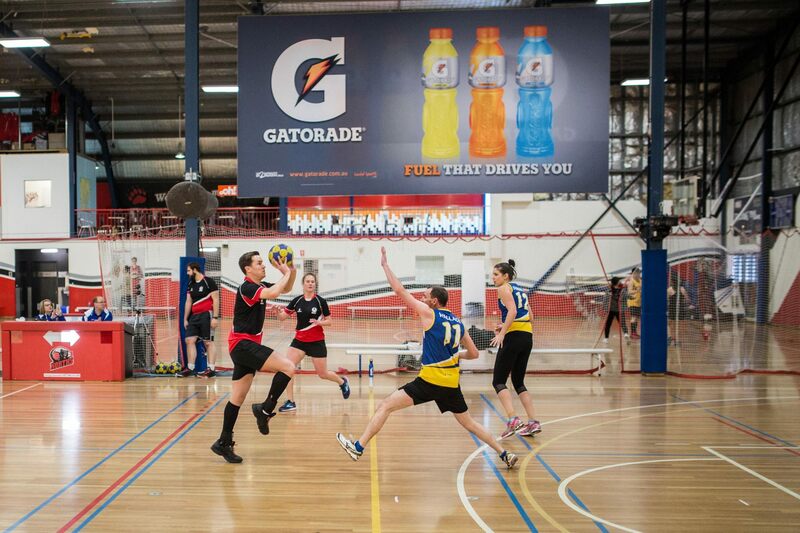 Sydney went into game 7 needing to end Newcastle’s winning streak to keep the series alive, and they did just that by drawing 10 all with Newcastle (a first for the NSW Korfball series and a first in any game between the two clubs). Bunnings Saturday Sausage Sanger Sell Out! After a 6-month wait we finally scored a spot at the Bunnings Mascot Sausage Sizzle to again raise some much-needed club funds!